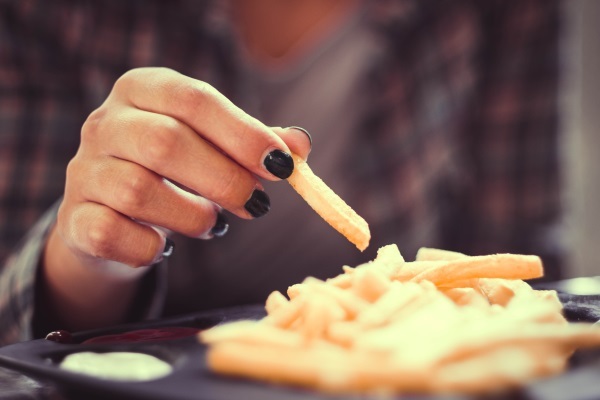 Late nights or a predilection for fast food are truer to a young person's brain development than you might think. Joanna Feast explains how schools can promote healthier choices. Do you ever find yourself despairing of your students making less-than-healthy choices? Do you imagine how much better things could be for them if they just ate better food, slept longer (and at the ‘right’ times) and had more fresh air, away from screens? You’re not alone! It can be a frustrating, fruitless task trying to encourage young people to make healthier choices… so would it help to know that their disinclination might not be totally in their control? The adolescent brain is a complex beast. Yet it can really help us to understand the concept of health choice in a teenager’s world, to everyone’s benefit. Firstly, what is the difference between an adult brain and a teenage brain? And secondly, why is it important to know? The brain continues to change and develop from birth right up into the 20s (and sometimes 30s), so already we’re dealing with shifting sands. If we take just one area of the brain, the prefrontal cortex, we can observe three things. It is proportionally bigger in humans than any other species. It is involved in higher-level cognitive functions like decision-making, planning, inhibiting inappropriate behaviour, social interactions and self-awareness. It undergoes dramatic changes in adolescence. In adolescence, there is a decline in the grey matter volume of the pre-frontal cortex, which is thought to correspond to synaptic ‘pruning’ (the elimination of unwanted synapses) – and the strengthening of certain other synapses. In addition, medial pre-frontal cortex function decreases in adolescence, as teenagers use different types of decision-making tools – so they have more trouble when taking on other people’s perspectives (particularly social and emotional states). And finally, adolescents take more risks more compared to any other time in life, and this is most commonly linked to the drive to become more independent and impress others. It is, therefore, no surprise that, for an average teenager, lifestyle choices can seem a bit chaotic, especially to an adult onlooker (whose prefrontal cortex is fully-formed and has ‘calmed down’). To look at it from another angle, adolescence can be seen as the most important point in a human’s life for learning and for creativity. Adults may see ‘problem’ behaviour and stigmatise accordingly, when this can actually be an opportunity: it reflects changes in the brain that provide great opportunities for education and social development. Let’s not forget too that teenagers have the freedom to make health-related decisions themselves… Children are not photocopies of their parents or the other adults around them. What can make a difference? How can teachers, parents and carers encourage healthier choices now? In many ways, it’s simple: the value you place on yourself is a definitive indicator of health-related behaviour. That is, if you truly value yourself and acknowledge your self-worth, you are more likely to commit to health-promoting behaviour. The crux of health-related behaviour is about self-awareness. But how many of us spend time getting to know ourselves, without judgment? Mindfulness practice is increasingly common in schools, and teaching PSHE in a mindful way is now common practice in schools that have adopted the Jigsaw PSHE programme. Mindfulness is the act of observing your own thoughts and feelings as they happen, in the present moment, applying no judgement. This enables us to pause before making choices as to how to respond to and act on these thoughts and feelings. Jigsaw teaches children and young people to understand their thoughts and feelings and through both taught lessons and the mindfulness practice exercises in every lesson (using the Jigsaw chime), helping to develop their awareness, and their capacity to be mindful human beings. Learning is thus enhanced as emotions are regulated, behaviour managed and calmness generated. The pre-frontal cortex is engaged and therefore more likely to make logical decisions. If it’s as simple as showing self-care, then we need to take into consideration that (all other things being equal) people know how to look after themselves, they just choose not to. Try asking a class of teenagers how many portions of fruit and vegetables people should eat every day… then ask how many of them actually do this. The difference is marked. Back to value and health-promoting behaviour. As well as teaching the ‘what’ (portions of fruit/vegetable), teach the ‘how’. This doesn’t necessarily mean how to source healthy food, though that is valuable for some. Teaching children and young people how to value themselves is crucial and is a long-term project. As with most aspects of education, the first ‘lesson’ is to start early – as early as you can. It’s not about breeding a generation of ‘special snowflakes’ – rather, the aim is to enable and empower children to realise their true worth, so they recognise they are capable of love and being loved. Fundamental to any human, granted, though perhaps we recognise it more by its absence than its presence. Did you know it generally takes about 21 attempts to break or gain a habit? If we know this, it can be less frustrating when we repeat ourselves ad nauseum about basic healthier choices in front of teenagers. Sometimes, it takes even longer for a message to seep in. And if said teenager isn’t interested in your message, it may never happen. Still, it helps to promote accurate, consistent health-related messages whenever you can, as osmosis may work too. Teaching high-quality PSHE is usually the most effective way in to promote healthier behaviour – and it needs to be accurate, consistent and relevant information. Shock-tactic approaches (don’t do x behaviour as you’ll turn into hideous y person!) generally fail as young people’s invincibility rating is off the scale. Work with students to find out what they want to know and, where possible, deliver it. Furthermore, ensure PSHE has a high profile in school; tell parents/carers about it, its benefits and how you teach it. Invite student champions to support you. In a nutshell, just keep on keeping on. For more information on Jigsaw, the mindful approach to PSHE, visit their website.